The two external antennas with mimo technology help set the tlwa855re apart from the rest. Mimo technology enhances your network by dramatically increasing wireless speeds and the two external antennas ensure that a stable wireless signal reaches you where you need it most. 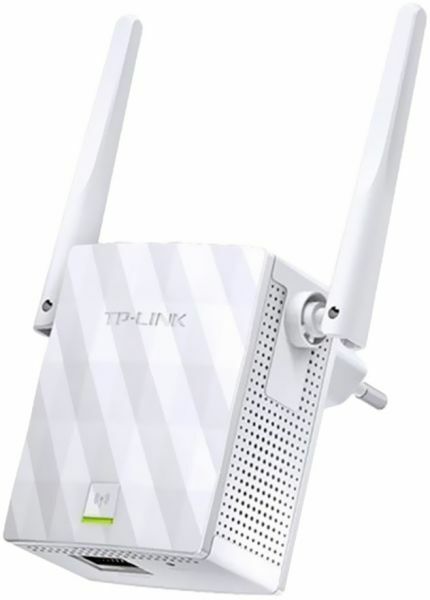 Two simple taps and you are ready to connect just press the WPS button on your router, then press the range extender button on tlwa855re to begin enjoying simple, expanded Wi-Fi. The intelligent led indicator provides a simple, color coded indication, allowing you to find the perfect location. The tlwa855re works as a repeater to save you from poor signal by expanding your router’s network coverage to the primary “dead zones. Now you can turn that Ethernet port in your hotel room into your own personal Wi-Fi hotspot. Tether is an intuitive app that allows users to conveniently monitor the state of your range extender, controlling its functions and altering its settings from any compatible mobile device remotely. Details: Despite its compact size, it may be hard to ignore the tlwa855re due to the truly impressive way that it projects Wi-Fi access into the areas of your home that your standard router simply cannot reach. The tlwa855re supports wireless speeds of up to 300 mbps and keeps all of your favorite devices running as fast as possible.